Do the Tauri (humans) use shuttlecraft? 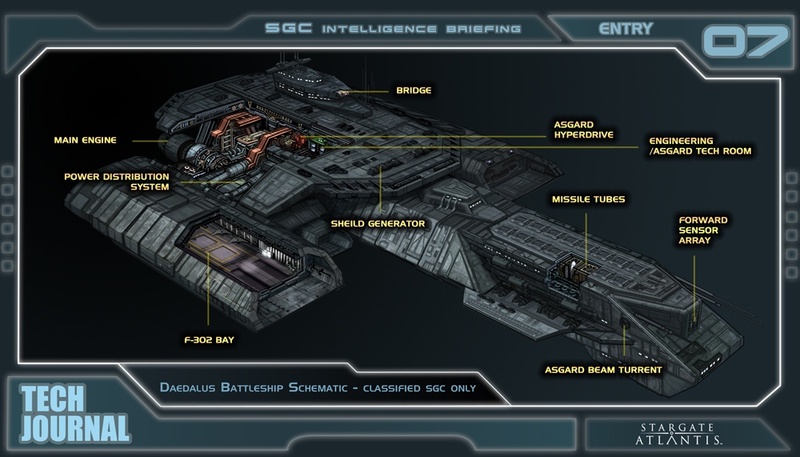 In Stargate SG-1 or Atlantis does the Daedalus class starships carry shuttle craft? I know they have transporter rings and Asgard transporters like in Star Trek, but even the Federation ships had shuttle craft. In Stargate Atlantis they use puddle jumpers granted they are not on a starship but serve the same kind of purpose. It's not stated. The class of ship certainly has bays that would be more than capable of supporting a puddle jumper but we don't ever see them using one. On the official cutaway on the MGM website, the nacelles are labelled as F-302 bays, showing that the ship has orbit-to-ground capability without using the ring transporter or Asgard beaming technology. Not the answer you're looking for? Browse other questions tagged stargate stargate-sg1 stargate-atlantis or ask your own question. Why doesnt the SGC use the Asgard Cloning device to make more ZPMs? Are Jaffa Just Altered Humans? How could they use the Atlantis Stargate when it was destroyed in an earlier episode? Are all the Humans in the (Stargate) Milky Galaxy the same species? How many Humans have the Ancient ATA Gene? Has there ever been any episode that didn't show a stargate in use? Why don't the Wraith grow their food and use robots? How does someone go to the bathroom on a Puddle Jumper?